Should People With Jet Skis And Motorhomes Be On Food Stamps? There’s something disturbing about seeing someone buy groceries with an EBT card only to load them into the back of their Cadillac or Lexus, but the feds in Washington don’t seem to care. They’re all too happy to let states side-step the asset tests, allowing millionaire lottery winners and people with vacation homes spend your tax dollars on their groceries, rather than preserving our safety nets for the truly needy. In fact, the Obama Administration has actively encouraged states to use backdoors to sign up people onto the welfare rolls without verifying their assets. 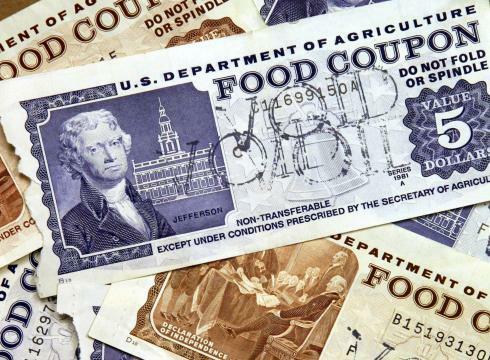 Federal law limits the value of assets non-disabled food stamp recipients under 60 at $2,250. The law does exclude some types of property from being counted, and then states are also able to determine other exemptions from the asset tests for home values and vehicles, so the asset limits vary around the country. But as food stamp enrollment and spending has exploded, even in the face of a recovering economy, so has the use of loopholes by states. The use of one particular loophole, Broad-Based Categorical Eligibility, has skyrocketed from just 7 states using it in 2001, rising to 13 by 2007. As of April of this year, 42 states were using this loophole to skirt asset tests. While some of these states retain some form of asset testing when they use BBCE, their asset limits are higher than federal law. This policy enables people with lots of expensive toys like boats, vacation homes, and RV’s to get Supplemental Nutrition Assistance Program benefits, or food stamps. The problem is those benefits are intended for the disabled, elderly, the unemployed poor, and our other vulnerable neighbors. Because spending on food stamps and other welfare programs has gotten out of hand, a number of states have started looking at ways to protect their limited resources for those in true need. There’s no reason our tax dollars set aside to protect someone’s disabled grandmother should also be going to the 30-year-old with two jet skis. A wave of states have finally come to their senses and started enforcing asset tests on their welfare recipients. The Maine Department of Health and Human Services just announced a policy change that “will impose a $5,000 asset test to households without children” that receive the state’s food stamps through the SNAP program. Nobody would really expect much to happen where limiting food stamps and other welfare to those who really need it while Barack Obama is president, but it’s good to see the states lead on the issue. We need more Americans working, and disincentivizing government dependence is the first step in that. The second step, instituting policies that grow the economy, will probably have to wait for a new president in 2017.